2016 Celebrations at Now Resorts & Spas! At Now Resorts & Spas, our guests rang in the New Year with live music, fireworks and guest DJs! Celebrations also included a gourmet buffet & dining, dancing until dawn on the beach and talented entertainers. Each resort hosted New Year’s Celebrations that featured vibrant colors, dancers and an abundance of festive party favors! Check out all the fun we had in this photo recap! New Year’s Eve celebrations at Now Jade Riviera Cancun Resort & Spa included a gourmet buffet, festive party favors, and live entertainment! 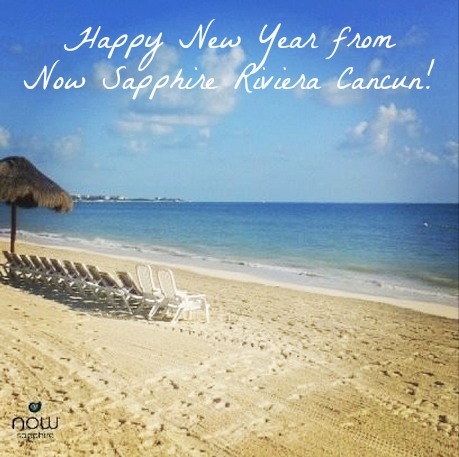 Happy New Year from Now Sapphire Riviera Cancun!